All of the resources you need to build your own natural product e-commerce business. Bookmark this page for quick access! We have been creating wellness products and in the ecommerce business for over a decade, and it took years to compile the list below as trusted resources. By providing our researched and tested list of companies, supplies, and courses below, we hope to save you TONS of money and time, allowing you to get products out sooner, get consistent income faster, and help others to live more naturally sooner. Some of the links below are affiliate links, which means I may earn a commission if you choose to make a purchase. This is, of course, at no cost to you, and I only share products that I use and love myself. Please read my disclosure for more information. If you only look at one resource in this whole section, CHECK THIS. A digital bundle of 22 eBooks, 4 courses, 6 printable packs, & 2 membership sites, ALL related to creating natural products with herbs and essential oils. This bundle can literally inspire you to create multiple product lines and the tutorials to do it. Digital = you download the bundle on any smart device. In this blog post, I share the top five aromatherapy books that took me from hobbyist to entrepreneur. Each book description covers the book overview, and also how to use it as a tool to grow your skills and understanding as a maker. Wellness Mama is an incredibly large blog that has tons of DIY recipes. While the recipes are natural, they aren’t quite ‘resale ready’ so requires that you use some background knowledge to give them a little personalization and shelf-life. A great brainstorming resource! Get ready for a recipe book full of personal care products that are formulated to be RESALE READY. No need to think any further than the easy-to-follow steps…follow the directions and you’ll have a tried and true product line ready to market any way you’d like! Ingredient lists and pricing tables included. Boom-shaka-laka. Coming soon…sign up to receive publication updates and pre-launch bonuses! Top quality essential oils and carrier oils. Most importantly, they are guaranteed to be pure and oils are checked twice to verify quality. RMO supports small farms, uses sustainable packaging, and they are NOT an MLM company which means best pricing. Free U.S. shipping. Bulk Apothecary is one of the nation’s largest online suppliers of natural ingredients. They have soap making supplies, herbs, spices, and tea, each with tons of organic options. (Note: not all stocked items are natural…check listing descriptions before you purchase). This site is more ‘crafty’ in nature (no pun intended), and does have its fair share of synthetics. However, they still have a good selection of natural ingredients, as well as several kits so you don’t have to pay for a large amount of ingredients when testing a recipe idea. Though I usually purchase my ingredients in large quantities from Bulk Apothecary due to my traffic, Amazon has been a lifesaver for last minute needs if I run out of something unexpectedly. Get 30 days of free Amazon Prime here, or scroll down to the bottom of this resource page for information about Amazon Business. SKS supplies glass bottles, glass jars, metal containers, and more. They have a large selection of sustainable paperboard tubes and jars for the ecofriendly shop. Shipping is free for orders over $250, so a great choice for makers if you’re buying in bulk. A family-owned packaging company based in the United States. They have a huge array of shipping supplies and discount packaging. Not all sustainable options, but more than enough to choose from. Bulk discounts if ordering over $300 in certain categories. This online vendor is a label powerhouse, creating both blank labels for you to print at home and also custom print jobs that they create for you and ship. They will send single sheet samples in many different colors and finishes so you can see what you’re ordering before buying in bulk (or any quantity you need). If you don’t have the time or the tech background to create amazing labels on your own, this vendor is your answer. Michelle, the shop owner, has editable label templates for a HUGE variety of boutique products, and she is available for custom design work as well. If you are in need of a logo stamp for thank you cards, mailers, bags, or any other promotional item, Kelly from West and Sage is the best that I’ve found. She responds incredibly fast to custom order inquiries and knows the perfect size for any item. Outstanding quality & service. When I first started my handmade product business, I shipped my orders in gently used boxes and never had a problem. While reusing boxes when you can is certainly the sustainable choice, also keep in mind the brand that you are creating. If you sell luxury items, an ‘already-loved’ box most likely won’t sit well with your customer base. As my branding needs have changed throughout my ecommerce journey, I have found great quality shipping boxes from Papermart.com that fit a variety of brand styles. An affordable shipping option if you have items that aren’t fragile. These padded envelope mailers protect items slightly and also has an adhesive strip so you don’t go through ten tons of packaging tape. Consider your branding as mentioned above to make sure it meshes well with your overall product identity. Handwritten thank you notes are an absolute MUST in my book for my customer experience standards. This plain white set of 1,000 perforated postcards allows me to print my logo on them with a basic inkjet printer and then write my message below. Incredibly economical but make a WORLD of difference to my business model. Handmade natural products have the stereotype of being ‘crafty’ or ‘a hobby’. The way you market yourself will label you as ‘hobbyist’ or ‘professional’. Spend the extra money on premium business cards. The payback will be huge and worth every penny. Consider these a billboard for your business. I’ve been purchasing business cards from Moo.com for years and have never been disappointed in their quality (nor have I ever seen anything better). If you sell your personal care items on ecommerce, you need a scale at home. It doesn’t need to be big and fancy, but it does need to measure down to 0.01 oz. and up to at least 50 lbs. I also recommend getting a scale that can be plugged in AND work with batteries so that you can bring it wherever you need to. This economical scale has a tare function which means I also use it A LOT for measuring out my soap making ingredients. Picmonkey is my spirit animal and I use this photo editing program for EVERYTHING. My instagram posts, Pinterest pins, email list graphics, landing page design, blog post picture edits, banners and cover photos for all social media and ecommerce platforms. You have to use it to understand the sheer genius – grab a free trial here to see if it fits. A MASSIVE LIBRARY OF EDUCATION. A digital bundle (instant download on any computer or smart device) that includes 19 ebooks, 14 ecourses, 1 membership site, and 6 tools. For the beginner and master. Tutorials on using your phone for professional photos, SLR photography, nature photography, portrait photography, editing, and more. Click through to see the entire list of photography courses and resources included to see if this package suits your business needs. A quick tutorial for shooting product photography at night when you have littles at your feet (or a 9 to 5) during the day. Not everyone has consistent daytime light that many tutorials call for. This blog post is for the rest of us that shoot during the midnight hours without ‘real’ natural light. Includes a free Product Photography Checklist for instant download. A hidden gem of a website that allows you to create a white or transparent background for your ecommerce product photos. These studio photo shots are required for selling on certain platforms and simply nice on the eyes for others. Always use a tripod when you can. It doesn’t have to be fancy at all, just secure enough to hold your camera safely. This aluminum tripod has a quick release plate and adjustable feet for only $40…I honestly don’t see a reason to ever spend more than that. Using a tripod will keep your pictures more clear, ensures that the same amount of light is being let into the camera, and your shots will be lined up the same. While you’ll want some fresh plants to use in your natural product photography as well, having an herbal sampler pack in your photo props kit will save you TONS of time and money. I purchased a sampler pack in 2009 and I still use it in all of my photo shoots. You’ll always have props on hand if stored well! Etsy is my favorite place to sell natural products online. Their fees appear to add up and they get some bad press from it, but those fees pay for a platform that has built in advertising, customer messaging portal, customer reviews, and Etsy’s legal team. Those benefits on an independent website cost more than Etsy charges overall, so I consider it a huge win. Get access to Amazon’s huge customer base. You have to apply and be approved to sell your handmade items, but it is free to submit your application and set up your shop & listings. There is a 15% transaction fee per item, which is higher than most platforms…but you have a wider audience (and no other fees). A beneficial secondary platform. If you have a blog on WordPress (or plan to…which I HUGELY recommend), this is your answer. Woocommerce is the most popular ecommerce website that allows you to customize every detail. Woocommerce is free to WordPress users (minus hosting & credit card fees) with upgrades available. You can sell your items on Instagram and Facebook (!). Facebook allows you to upload your entire line through a Business Manager Page into a catalog. You can then connect your catalog to Instagram for the #taptoshop function. Facebook is a social networking site where you can share pictures, comments, links, and ideas with other people online. Creating a business page on Facebook for your product line allows you to promote yourself for free and connect to customers. Instagram is another social networking site that allows you to share photos, videos, and comments. 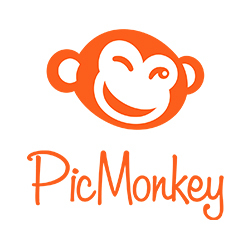 This platform is more ‘mobile’ and has a slightly different user base than Facebook. The use of hashtags in posts allows you to reach a broader audience. Pinterest is a visual search engine that is used to help individuals find content online through the use of pictures. Pinterest is most popular for finding ‘DIY’ or ‘How To’ articles such as recipes, crafts, and home decor. However, it is very quickly gaining popularity for ALL areas, including education, science, and the medical field. After you create an account with Pinterest, you can save articles (called ‘pins’) into personally created categories (called ‘boards’) so that you can quickly find them later. Tailwind is the scheduling tool that bloggers and makers/retailers use to submit their content to Pinterest. Tailwind assists in promoting content and scheduling it on Pinterest at the best times for your particular customer base (a MUST for proper exposure). To be effective on Pinterest, you should be scheduling between 30-50 pins a day at optimized times, a task that no individual can do without a tool like this. Give Tailwind a test run right here with no strings attached. Email marketing is absolutely key to building your business over time. Ask any successful ecommerce guru, and they will tell you that they really started to see their business grow when they developed and nurtured their email list. 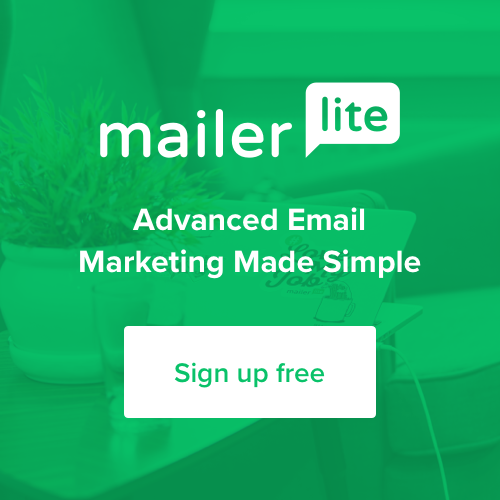 I’ve tried 3 different email services and MailerLite is the BEST hands down. They have drag-and-drop email templates, automation services, countless integrations, and you can get your first 1,000 email subscribers for free here. WordPress.org is a free website building program that is most often associated with blogging. A blog is a regularly updated website that can drive massive traffic to your online store if done correctly and updated consistently. By choosing WordPress as your website platform, you can also add on Woocommerce (a popular ecommerce platform). The #1 ebook (instant download on your smart device or computer) to help you create the visuals for posting quality content on Pinterest. This INCREDIBLY well-written and designed resource helps you to create pin designs that get shared over and over again. The ebook includes creating graphics, creating copy, strategies, and promotion. An affordable tool that will pay you back quickly after you implement the lessons. Pinterest is the number one platform to promote your handmade business on, and Angie walks you through HOW to use it step-by-step. If you are already familiar with Pinterest and Tailwind, look into her Pinterest Traffic Trifecta course for more in-depth instruction on how to get incredible traffic from your published content. Blogging changed the entire way I look at and run my business. I went from ‘just selling online’ to being a well-rounded business and entrepreneur with the addition of a blog. Suzi Whitford (a superstar in the blogging world) teaches you how to build your blog successfully from day one, and has an entire library of other courses to help as you grow. This course is geared towards moms, but don’t let that stop you. This has been purchased and valued by everyone from stay-at-home-moms to medical professionals. Did you know that you can earn income by promoting products, businesses, and services that you already use and suggest to others? This is called affiliate marketing, and you can make some SERIOUS income if you learn how to do it correctly. Adding affiliate marketing to my business model has helped to create a consistent income for my family. Michelle is the queen of affiliate marketing (as in…makes over $50k a MONTH from it) and provides an amazing Facebook support group. A FREE 18 page eBook for all you natural product makers out there selling your items (or are ready to get started!) via ecommerce (Etsy, Shopify, Woocommerce, SquareSpace, Wix, FB, Instagram, etc.). Download this guide full of 50 trusted resources to take learn how to earn more sales, repeat customers, and consistent income! Pssttt…if you’re already one of our email subscribers, this is in your Resource Library. A course by Treesnail Natural Essentials that walks you through how to start your own ecommerce business (specifically for natural personal care products). A beginner’s course that includes business branding, setup, marketing, and time management. Available as an ebook for the tech-savvy or as a course for individuals that prefer to see visuals in ‘real time’. Coming soon…sign up to receive course updates and pre-launch bonuses. There’s no doubt that selling your products online PLUS having a marketing system to promote them is a lot of work. If you’re a stay at home mom trying to do all of the above, you have to have a time management strategy in place. In this course, I show you every detail and trick in the book for being a guilt-free mompreneur. Course includes daily, weekly, monthly, and annual schedules and how to create an individualized plan that works for you and YOUR family. Know you need to be on WordPress but don’t have the time (or tech-brain) to set it up yourself? Easy Blog in a Box is a service that COMPLETELY sets up your website for you, and THEN you get a one-on-one convo walking you through the whole shi-bang. Trevor (the brains and power behind the biz) is insanely on top of it and creates your site in record time. The Facebook Group that is designated just for ‘Easy Blog in a Box’ customers is full of helpful business owners and bloggers on the same path. Already have a website and want to transfer it to WordPress? Trevor does that too. I personally had a Squarespace site that wasn’t doing what I needed it to for my long-term business needs. Trevor transferred it over with multiple responses to my OCD emails (ahem…28 to be exact). Above and beyond. I seriously feel like Trevor (and his Easy Blog in a Box service) saved my business from going flat. Highly recommended! Just. Yes. A social media calendar that has 365 days of posts laid out for you so that you don’t have to sit and twiddle your thumbs wondering what to post (a major time water for sooo many small business owners). This calendar literally hands you more time to work on creating product, working on your website, interacting with customers…anything BUT having to generate your own social media content ideas. Angie (genius content calendar creator) even has editable Social Media images available that you can use as-is or change on Google Slides to use your own brand color palette and fonts. Building your online business with littles at home? Yeah. It’s a bit to juggle, to say the least. With years of experience being a home-based business owner and a mom of two, I have created a planner that keeps me on track because I found NO other product that worked. In addition to daily/weekly/monthly planner pages, you also receive monthly focus areas, goal-setting prompts, social media tools, weekly motherhood & entrepreneur quotes to encourage you along the way, and access to business-building bonuses. Coming soon…sign up to receive updates, launch date information, and a special pre-order discount! Just like regular Amazon, but with extra discounts specifically for businesses. You have to register separately from your regular Amazon account and it takes a couple of days to get approved. After that, you receive special promotions, business-only inventory, and the ability to add other buyers onto your account (with spending limits) in the case that you have a staff helping you out. Get a 30 day free trial of Business Prime here. Any business resources you were looking for but didn’t see? Let us know below and we’ll do our research!